Hospitalization and death rates for heart disease and stroke dropped significantly in the last decade. Rates declined more for these conditions than for any others. Improved lifestyle, quality of care and prevention strategies contributed to the decrease. Furthermore, risks of dying for people who went to the hospital within a year decreased about 21 percent for unstable angina, 23 percent for heart attacks and 13 percent for heart failure and stroke. Huge strides in lifestyle, quality of care and prevention strategies for cardiovascular health have seemed to have a ripple effect on saving lives. Other significant contributions included improvements in identifying and treating high blood pressure, a rapid rise in the use of statins, marked declines in smoking and more timely and appropriate treatment for heart attack patients. There is still more work to do, as heart disease and stroke combined, remain the leading cause of death and disability. 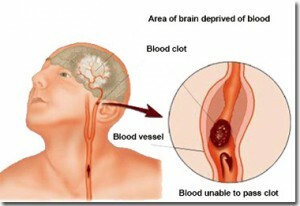 Stroke is literally a “brain attack”, caused when the vital supply of blood and oxygen is cut off to part of the brain. New emergency methods for diagnosing and treating acute stroke have recently become available. Immediate medical care, including new methods of stroke diagnosis and drugs for emergency treatment of stroke, can minimize brain damage and dramatically increase a person’s chance of recovery after a stroke. However, many people at risk of stroke still do not realize that stroke is an emergency and if treated immediately massive disability can be avoided. Stroke is literally a “brain attack”, caused when the vital supply of blood and oxygen is cut off to part of the brain. If a portion of the brain loses its supply of nutrient-rich blood and oxygen, the bodily functions controlled by that part of the brain (vision, speech, walking, etc.) are impaired. Like a heart attack, every minute counts in getting a stroke victim emergency medical treatment so that brain damage and possible future disability will be minimized. Stroke is the third leading killer (after heart disease and cancer) and a primary cause of disability in adults. Each year more than 500,000 people U.S. have strokes, killing almost 150,000 of them and dramatically changing the lives of those who survive. Currently, three million people are permanently disabled because of stroke. 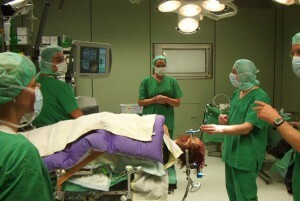 However, new methods of stroke diagnosis and treatment are available, and they are dramatically increasing a person’s chance of recovery after a stroke. Stroke results from disease of the blood vessels supplying the brain with blood. Commonly, stroke is caused by atherosclerosis (deposits of cholesterol, fats, and other matter inside the vessel walls) of the left or right carotid artery of the neck. For example, turbulent blood flow through the carotid bifurcation (point where the common carotid artery splits into the internal and external carotid artery branches) dislodges material from the atherosclerotic narrowing and carries it to the brain, where it may form a plug in the arteries. For the best, most effective treatment of stroke, a person with a suspected stroke must be given immediate medical attention. It is during the critical first 3 to 6 hours following stroke that today’s growing stroke therapy options have the highest curative potential. Doctors can now administer an injection of tissue plasminogen activator (TPA) to dissolve the clots that block blood flow to the brain. If the blockage can be removed with administration of TPA and sufficient blood flow is recovered within a three hour period following the stroke, the severity of permanent brain damage (neurological disability) is minimized or eliminated. However, medical imaging is a critical component in determining the course of stroke treatment. Medical imaging is vital in the detection and treatment of stroke. 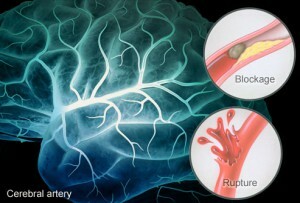 Hemorrhagic stroke is caused by a rupture of the blood vessels which feed the brain. Roughly 80% of strokes are caused by clots (ischemic stroke) while the remaining 20% are caused by hemorrhage. In addition to disease of the carotid arteries, ischemic stroke can also be caused from clots originating from the heart, vessels of the legs or elsewhere in the body. Heart attack victims are susceptible to stroke, more than 20% of ischemic strokes are caused by clots from the heart. Transient ischemic attack (TIA) is as a mild stroke (also called “mini-stroke”) where the attack lasts for only a few minutes to less than 24 hours, followed by complete recovery. 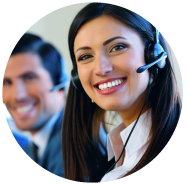 A TIA is a warning sign that a sufficient supply of blood is not reaching part of the brain. People who have suffered a TIA are at significant risk of having an acute stroke. Recognizing a “mini-stroke” is important because if appropriate treatment is begun, major strokes can be prevented. Not having a stroke in the first place is vastly better than relying on medical science to undo the damage of stroke after it has been done. Keeping cholesterol levels down decreases the risk of atherosclerosis and blood clots, both major causes of stroke. Treating high blood pressure drastically reduces the risk of bleeding (hemorrhagic) strokes. Eliminating smoking also improves a person’s chances of not having a stroke. Exercise, proper diet and elimination of smoking are among the best prescriptions to minimize the health conditions that cause stroke and heart disease. Medical care for patients at high risk of stroke may include the administration of one adult aspirin daily (to thin the blood) and aggressive management of modifiable risk factors, such as counseling to help them stop smoking and treatment for high blood pressure, high cholesterol, and diabetes when indicated. These treatments may involve the use of drugs to lower cholesterol and blood pressure. Carotid artery surgery (carotid endarterectomy) can prevent stroke in carefully selected individuals who have no outward sign of disease but are at risk for stroke from a severe narrowing of the carotid artery in the neck. A carotid endarterectomy is a surgical procedure in which a vascular surgeon or neurosurgeon removes fatty deposits and plaque from one of the two main arteries in the neck supplying blood to the brain. Carotid artery disease is more common in elderly people. The disease process that causes the buildup of fat and other material on the artery walls is called atherosclerosis, popularly known as “hardening of the arteries.” Carotid surgery has been found highly beneficial for persons who have already had a stroke or experienced the warning signs of a stroke and have a severe stenosis of 70 percent to 99 percent. Other methods of treating carotid artery disease include the use of angioplasty and stenting to open the stenosis (narrowing).